Stephen Quinn scored on his debut as Hull City came from behind to increase Owen Coyle's problems at Bolton. Chris Eagles put the Trotters, who included new signing Jay Spearing, ahead with a deflected free-kick before Sone Aluko levelled. Two goals in three minutes at the start of the second half condemned Bolton to their second defeat of the campaign. Former Bolton player Abdoulaye Faye headed Hull ahead before Quinn, signed from Sheffield United, added the third. Bolton, knocked out of the League Cup by Crawley, have now won just one of their opening four league games since being relegated from the Premier League at the end of last season. Even the presence of Liverpool midfielder Spearing, who has signed on loan for the rest of the season, failed to inspire Coyle's side, who have now conceded five times in the last two league games. They made the perfect start when Eagles' 17th minute free-kick found the net after the ball took a wicked deflection. But the Tigers were level in the 29th minute, Aluko scoring his first goal following a summer move from Rangers. The hosts maintained their momentum after the break and went ahead for the first time within a minute of the restart, Faye powering Quinn's corner into the net. And Quinn made it 3-1 three minutes later from close range following good work by Jay Simpson. 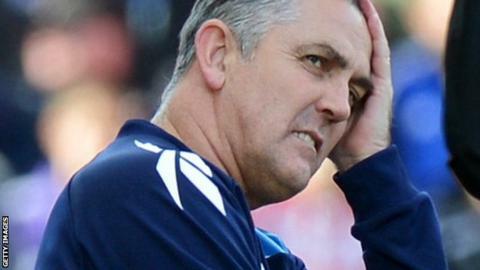 It could have been worse for Coyle's Bolton, but Faye was denied a second by the woodwork.